We currently offer franchises in Georgia, Florida, Texas, Tennessee, Alabama, North and South Carolina, Kentucky, and Ohio. We will assist you in the process of site selection and consult on the business factors of the space lease. Qualified franchisee business owners may obtain financing from third-party lending institutions. The loan amount may vary based on many factors including business owner's cash injection amount, credit history, and net worth. The Philly Connection® does not offer direct financing. We provide support during the design and construction phases. A two-week initial restaurant operations training course is conducted in Atlanta, Georgia prior to the restaurant opening. A company representative will be at your opening for one week. On-going operations and advertising support is provided during the term of the franchise agreement. Fast-Casual Restaurants: Philly Connection® is part of the fast-casual segment, where restaurants cook-to-order, not to be confused with fast-food concepts, where food is prepared and waiting to be purchased by the customer. Upscale sandwich segment: A fast growth segment of the restaurant industry. 2. Focus on hot food as opposed to cold sandwiches, but we also offer several cold hoagies. Hot food sells in the evening/dinner time better than cold food. The cold sandwich chains record most of thier sales at lunch. 4. Philly Connection® offers french fries, onion rings, and chicken tenders - other chains in our segment do not. 5. Philly Connection® fresh-grills orders in front of the customer. 6. Franchisee receives cooking equipment iwth its investment and therefore, when product offering trends change, the franchisee already has the equipment to adapt without substantial additional investment. A franchise provides a brand, proprietary products, an operating system, and ongoing support to the Franchisee. It's like a "head-start" to starting a business as opposed to "starting one from scratch," however, the Franchisee must apply the necessary attention, dedication, and effort to makie the business successfull. The information contained on this website does not constitute a franchise offering by the franchisor of Philly Connection®. 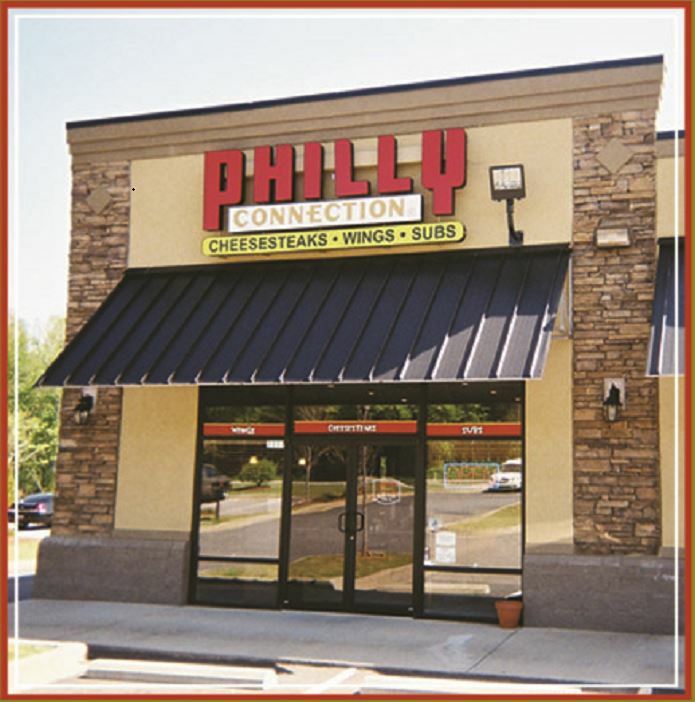 Franchise offers are only made to approved Philly Connection® franchisee candidates receiving the franchise disclosure document from the franchisor of Philly Connection®.